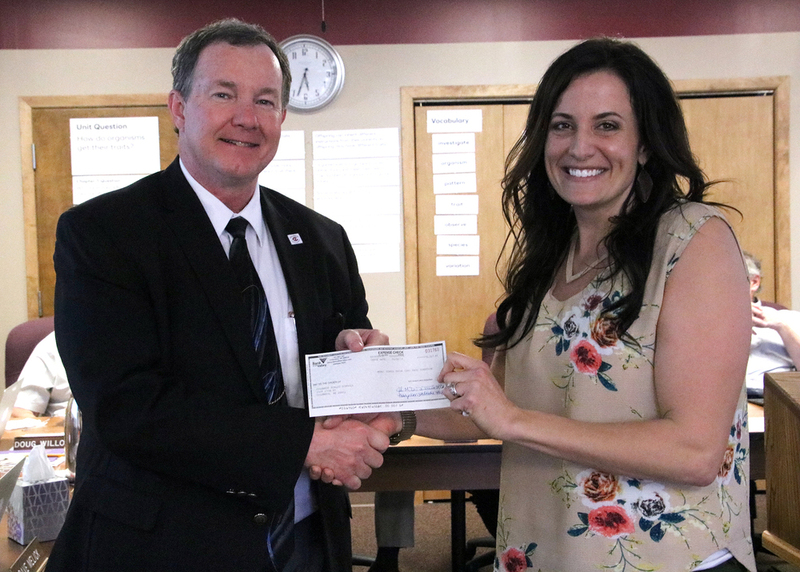 Dee Hanson with Bank of the Valley presented Executive Director of Business Operations and Human Relations Dave Melick with a check for Columbus Public Schools. The money comes from the School Pride Credit Card Program. She said the program was started in 2015, and CPS is one of 8 schools the bank has a partnership with. Hanson said the school branded credit card is the bank’s way of saying thank you to the local schools. She said the money can be used however the district wants. There were 83 CPS credit cards that were issued. The total amount so far given to the district through this program was $3,483.72.